Click here for adult Primate books. Introduces the physical characteristics, behavior, and habitats of primates, including lemurs, monkeys, apes, and humans. Color illustrations & color photos. Ages 10 & up. 46 pgs. Information on monkeys and illustrations of many of the primate family. Ages 10-14. 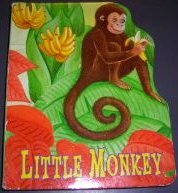 Each page contains a pop-up picture of different monkeys, along with brief information about that monkey. Capuchin, spider monkeys, golden lion tamarin, colobus, baboon, and snow monkeys. Ages 4-7. An Ape Or A Monkey? Explains the difference between Apes & Monkeys, and between Old World Monkeys & new World Monkeys. B/W photos. Ages 8-12. 46 pgs. Set your eyes on nature and explore the fascinating world of apes & monkeys. Learn the difference between apes & monkeys, where they live, about their bodies & special features, how they communicate, how they live, about their babies, and conservation efforts. Lots of color photos on every page. 31 pgs. Ages 8-12. 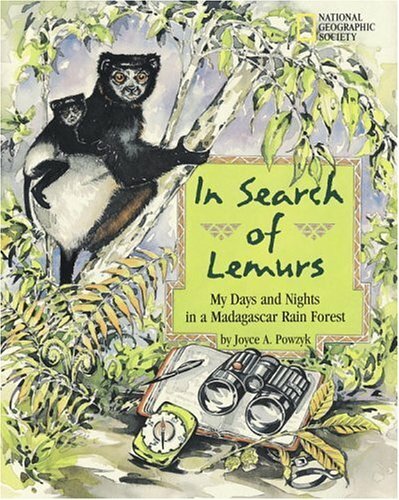 A delightful way for children to investigate primates, their habitats, with colorful photos, and including sections such as: Shelter from the storm with a baby orangutan, swing through the trees with a gibbon, fishing for termites witha gang of chimps, and munching on fresh fruit with monkeys. With fun and easy projects! 48 Colorful pgs. Ages 4-8. 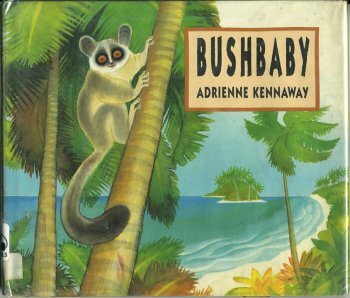 A factual account set in the Scrubland of Kenya, East Africa, this book follows a year in the life of a baby Olive Baboon. From the time of his birth to his acceptance as a member of the baboon troop, including the many perils he must face to stay alive. Ages 12 & up. B/W illustrations. 62 pgs. Pumpkin is a three month old baboon baby and lives with his mother, Petal, in a baboon troop in the wild. 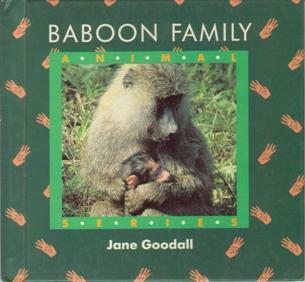 Learn about baboon life in the troop. Ages 4-8. Color photos. 26 pgs. Tale of a Bushbaby looking for food. Above all else Bushbaby loves figs and must find a way to outwit Monitor, the fierce lizard that guards the tree where the most delicious ones grow. Colorful illustrations. 26 pgs. Ages 4-8. A novel: Considered to be something of a misfit by his classmates because of his interest in animal rights, Harold finds a friend in the new boy in class who agrees to help him in his secret plan to free a caged lab chimp. Ages 10-14. 142 pgs. 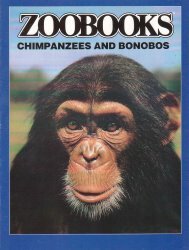 Information about chimps & baboons and their life in the wild. Color photos & illustrations. 32 pgs. Ages 8-10. Introduction to the monkey groups with good color illustrations. 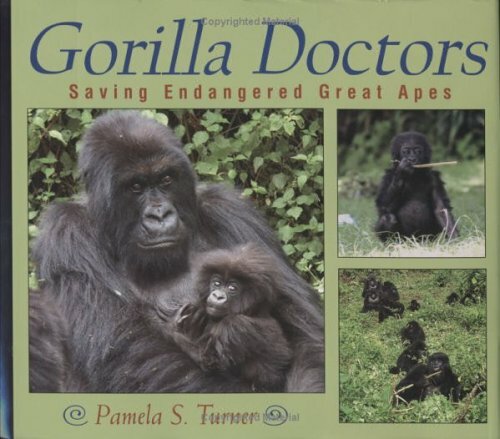 Through engaging text and stunning photographs, Turner delivers a gripping tale of science, nature, and the conservation of life as she follows the Mountain Gorilla Veterinary Project, a group working to save the gorilla population of Rwanda and Uganda. Color Photos. Aes 9-12. 64 pgs. Cute phrasebook of useful everyday chimpanzee expressions to imitate. An ideal choice for childern who love monkeys or for class learning about wild animals, this book offers fascinating information about monkey behavior, biology, and habitats. Colorful illustrations. 26 pages. Ages 4 and up. This is an unusual account of a woman scientist's field expedition in the Ranomafana National Park of Madagascar. Of the 32 types of lemurs known to live on the island, 11 live in the park. On this trip, with guide Talata, the author encounters eight lemurs. The pair also observe an array of exotic birds, a hedgehog, insect-eating bats, city and forest rats. an orb-weaver spider, ring-tailed and broad-striped mongooses, a civet, tree frogs, freshwater crabs, a fossa, giant earthworms, leeches, millipedes, and an aye-aye. The key encounters are handsomely and faithfully illustrated, and the first-person descriptions bring the story to life. Beautiful color illustrations. 44 pgs. Ages 8-12. 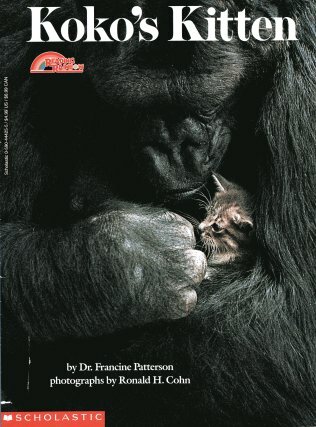 The true story of the gorilla KoKo who learned sign language and her baby, a kitten. Color photos. Ages 12 & Up. 29 pgs. 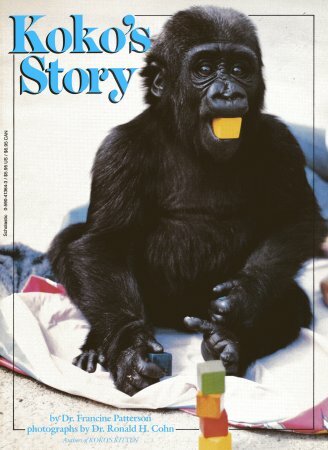 Author recounts her experiences with raising a gorilla to speak sign language. Color photos. 37 pgs. Ages 12 & up. A board book that is shaped to be hooked into other books in the series. 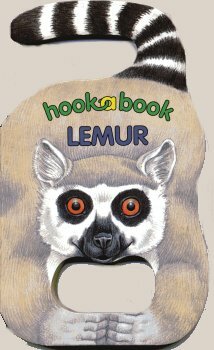 A delightful way for young children to learn about the ring-tailed lemur. It describes the habitat, physical characteristics, and habits of a ring-tailed lemur. 12 pgs. Ages 2-5. Introduces the physical characteristics, habits, and natural environment of several kinds of lemurs whose principal home is the forest of Madagascar. Also discusses the uncertain future of these animals in the wild and what is being done to preserve them from extinction. Color photos. Ages 10-14. 63 pgs. 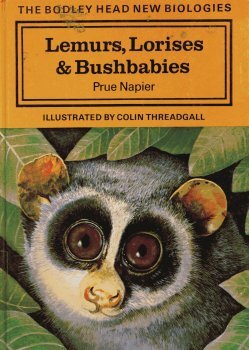 All about the breeding habits of lemurs, lorises and bushbabies, and the way their young develop. Color illustrations. Ages 12 & up. 48 pgs. 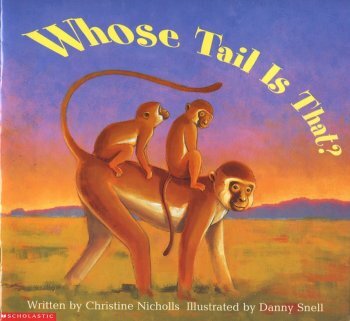 Describes a typical day in the life of a young chimpanzee, gorilla, orangutan, and gibbon. Accurate color illustrations. 32 pages. Little Monkey is learning to do things on his own, with the help of his mother. Boardbook. Ages 1-3. 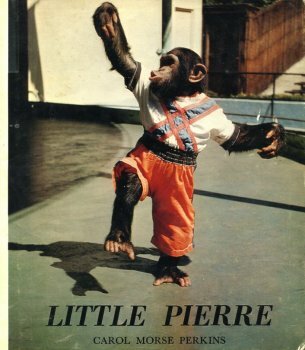 True story of a baby chimp's rise to stardom at the St. Louis Zoo. B/W photos. 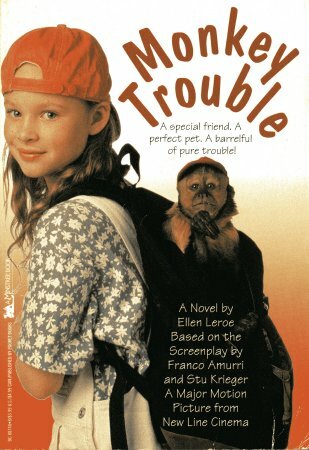 Novel: The hilarious and heartwarming story centers around a nine-year-old girl, a secret pet monkey, and the monkey's owner, who'll go to any lengths to get the monkey back. 150 pgs. Ages 9-12. Fictional story about a monkey in a pet shop. 88 pgs. Ages 10-14. 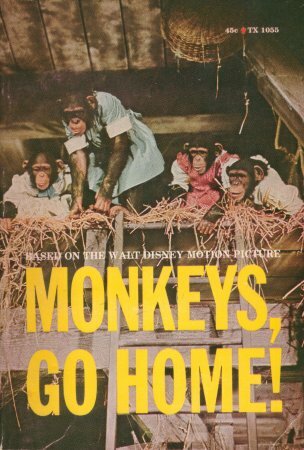 From the Walt Disney prodcution sceenplay by Maurice Tombragel, based on the book "The Monkeys" by G.K. Wilkinson. Take an ex-Air Force man who has just inherited an olive farm, four space monkeys, one beautiful girl, two villans, & a little town in Fance... what do you get? Monkey Business! and a million laughs in this hilarious adaptation of the Walt Disney comedy hit. B/W photos. 128 pgs. Ages 10-14. Autobiography of the fascinating story of one of the world's most celebrated naturalists, Jane Goodall. 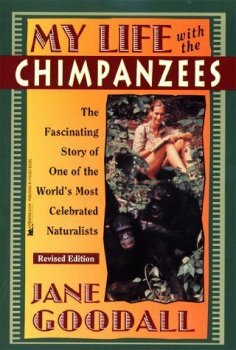 This is Jane Goodall's story & adventures with the chimps & the important discoveries she has made about them. B/W photos. Ages 10 & up. Autobiography of the fascinating story of one of the world's most celebrated naturalists, Jane Goodall. This is Jane Goodall's story & adventures with the chimps & the important discoveries she has made about them. B/W photos. 156 pgs. Ages 10 & up. 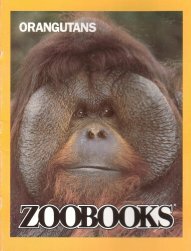 Introduces orangutans, describing their behavior, habitat, life cycle, eating habits, and the threats they face from deforestation and poaching. Color illustrations & photos. Ages 8-12. 48 pgs. Contains 32 page educational coloring book and story cassette. 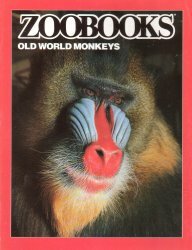 Educational coloring book, baboon, langur, proboscis, gibbon, mandrill, spider monkey. Describes the physical characteristics, habits & habitat of primates. True story of the second gorilla ever born at the San Diego Zoo. Gordy was born premature and refused to nurse from his mother. 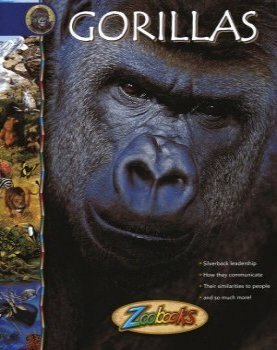 Documents his first year and his adjustment to living with a troop of gorillas. Lots of photos. 45 pgs. Wonderful beginner information, realistic color illustartions, includes 25 re-useable stickers. 32 pgs. Examines physiology, feeding, reproductive habits & social behavior. Chimps, Bonobos, Orangs, Gorilla, Gibbon, New & Old World Primates, Prosimians, Marmosets. 32 pgs. What On Earth Is A Galago? This book describes an animal's physical characteristics and explains details about enviorment, reproduction, and methods of survival. Full-color maps and stunning photographs make the subjects come to life. Very colorful photos. Ages 7-10. 32 pgs. 2 young monkeys loose their mother. Can they find her just by looking at tails of other animals? Full color. 30 pgs. Age 4-6. An all-in-one, everything-you-wanted-to-know-but-didn�t-know-who-to-ask guide to chimps and bonobos. Features 24 pages of striking wildlife photography, insightful writing, colorful illustrations, and diagrams that explain in simple terms things that make "animal facts" come alive for your child. Ages 5-12. An all-in-one, everything-you-wanted-to-know-but-didn�t-know-who-to-ask guide to gorillas. Features 24 pages of striking wildlife photography, insightful writing, colorful illustrations, and diagrams that explain in simple terms things that make "animal facts" come alive for your child. Ages 5-12. An all-in-one, everything-you-wanted-to-know-but-didn�t-know-who-to-ask guide to the world�s most fascinating monkeys. Features 24 pages of striking wildlife photography, insightful writing, colorful illustrations, and diagrams that explain in simple terms things that make "animal facts" come alive for your child. Ages 5-12. 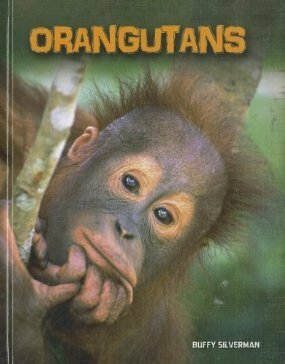 An all-in-one, everything-you-wanted-to-know-but-didn�t-know-who-to-ask guide to orangutans. Features 24 pages of striking wildlife photography, insightful writing, colorful illustrations, and diagrams that explain in simple terms things that make "animal facts" come alive for your child. Ages 5-12.